Globally, there’s been increasing awareness - and action- regarding sustainability and climate change. Have you ever wondered what happens to the tonnes of unused, sanitised medical supplies found in well-stocked hospitals and clinics in the developed world? The pristine cannulas and IV drips. The instruments in the operating room. Even the surgical gloves. 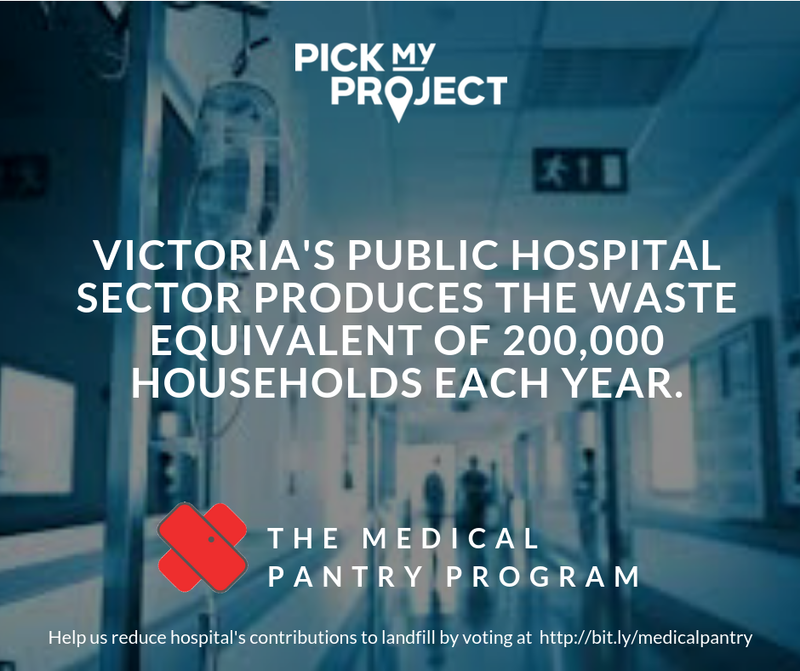 Melbourne anaesthetist Dr Martin Nguyen studied this with Hospital Sustainability expert Dr Forbes McGain and their team, and was perturbed by the findings that, in one week in Melbourne, 23% of waste generated from six operating rooms was recyclable. Was it feasible to recycle this waste? The study showed that, yes, it was, both financially and with infection control integrity. This brought Martin back to his journeys on medical missions trips, where, he says, “in isolated pockets of Vietnam, I noted these communities were in desperate need for medical supplies, but did not have connections or the resources to reach out.” Furthermore, “we discovered (through our research) that there were unused items thrown out into landfill. This practice upset many staff who were avid reducers and recyclers at home, but had to be wasteful at work. They were keen to collect and donate these supplies, but did not know where to send it to. Since inception, Medical Pantry has successfully donated high quality, unused clinical goods to communities worldwide, including in Tonga and Papua New Guinea. Led by Martin and a team of eager volunteers, goods are readily donated from hospitals and clinics, and are given to recipients usually via clinicians on missions trips and other aid ventures. Goods can also be used locally; wildlife sanctuaries have benefited, along with local businesses in Victoria’s Western Health district; local clinics may run short, and mechanics find the unused, sterile kidney dishes useful! However, Martin envisages a future where tech enables donors to match recipients’ needs directly online, saving further costs, time and resources that can then be put to use expanding the reach of their work. A hospital in Papua New Guinea using donated goods from the Medical Pantry. Currently, Medical Pantry is in the running for up to $100,000 in local government grants to help with more permanent warehousing, distribution and storage. (People with Victorian addresses can vote for Medical Pantry to receive funds in this grant, until 5pm, Monday 17 September.) However, to fulfil its dream of recycling goods in other cities and expanding its reach, it will need more funding and support beyond this grant. It’s amazing what impact local work can have on global health. To reach out to Medical Pantry regarding funding or other support, please visit medicalpantry.org or facebook.com/medicalpantry. All images in this article courtesy of Medical Pantry.